Professional steel garage sales Ohio residents can trust. One of the things that helps us ensure that every steel garage and commercial building that we sell is of the highest quality is the fact that we start with the right materials. 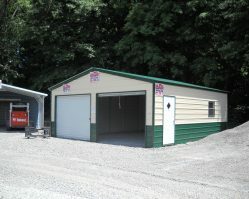 When you want a quality garage to protect your car, RV, boat, motorcycle, or other types of vehicles, you can always rely on us to deliver a quality garage that meets your exact specifications. 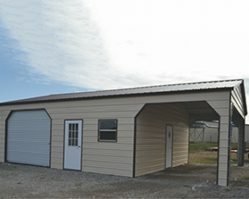 Our custom steel garages are extremely sturdy with the flexibility to ensure that you’re able to get the design that will best meet your particular needs as well as style options to give you a great looking steel building. 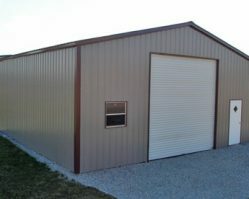 Of course, a prefab steel garage is an excellent way to protect all types of vehicles and equipment, but it can also provide a convenient place to store kids’ bikes, ATVs, gardening supplies, equipment for hobbies, or just about any household items that you want to store in a convenient location while still ensuring that it is protected from the elements. 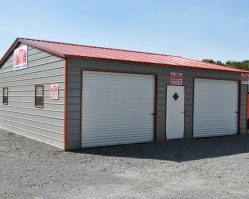 You can choose a commercial garage that is big enough for you to park a class 8 truck, RV, or another vehicle on one side of the garage and store tools, lawn equipment or additional vehicles on the other side. 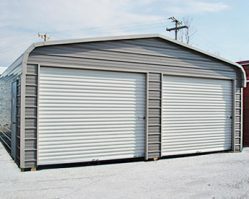 Regardless of the configuration options you decide on, you’ll find that our custom steel garage sales offer an attractive and affordable solution for protecting your valuable belongings.